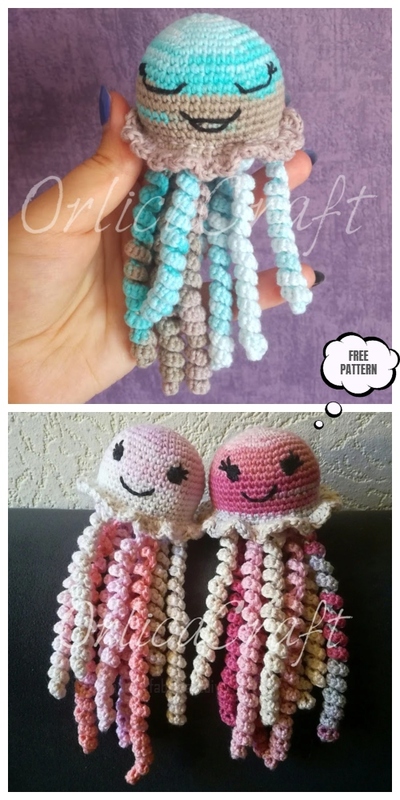 I have shared a lot of Amigurummi toys with free patterns before, and I would love to crochet some of these lovelies for them to cuddle up and decorate their room. 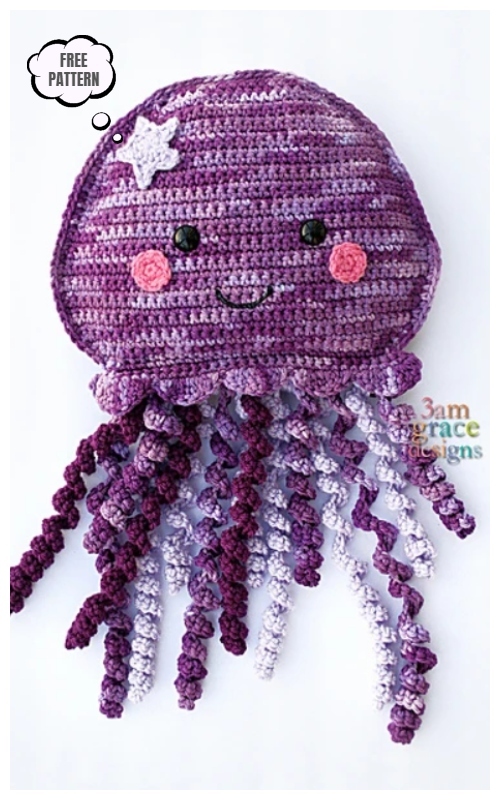 This crochet jellyfish is so cute and adorable that I cannot wait to share with you the second I see it, it’s so lovely with curly cues, and perfect toy you can hook in an afternoon for little ones as toy, or just crochet several with different length and colors to make mobile for baby nursery room. Or more than that, ’cause I love it so much that maybe I can make some for my own room decoration, what do you think? Summer is always a perfect time for kids to explore sea aquariums, and this little water creatures will definitely be your newest muse for the whole family. 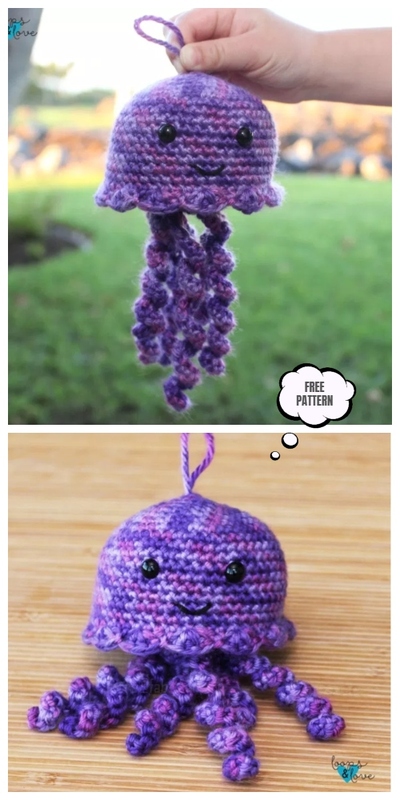 Sympli Tutorials make this crochet jellyfish a bit fancier with edges, which you can try for more girlish decoration. Which do you love more? Or just want to try both of them in different colors for all your kids in your big family and gifts for your friends? Get more crochets from Our Galleries Here.